Lily's Magic Garden is a children's book that both kids and parents can benefit from and enjoy. Affirmations (like “special”) can have a reverse effect on the psyche and accidentally instill the opposite message intended. As you read Lily’s Magic Garden, help your children discover their marvelous true nature within – a divinity we all share. As they blossom in their own time, teach them that resting into their true nature is the path to a fulfilling life. 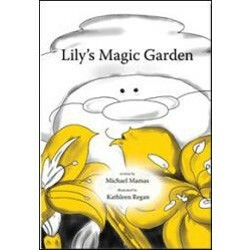 Beautifully illustrated by Kathleen Regan and written by Michael Mamas, Lily’s Magic Garden is a children’s book that both kids and parents can benefit from and enjoy.